This year sees the lovely Miffy turning a massive 60 years old, I remember reading books featuring the loveable character when I was younger but I didn't realise that she had been around for quite so long. 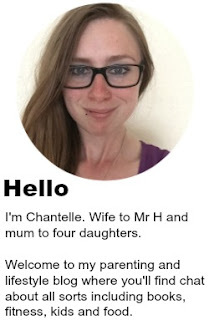 Some of you may have noticed the shiny new badge on my sidebar, I have been chosen along with a few other bloggers to be a Miffy Mum. My job is to help Miffy celebrate her birthday and to get all of my awesome readers to join in with the festivities too. 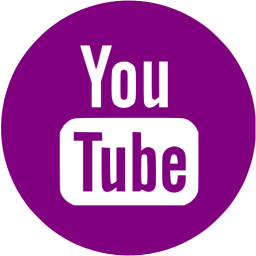 To kick things off I have a wonderfult giveaway for you all. 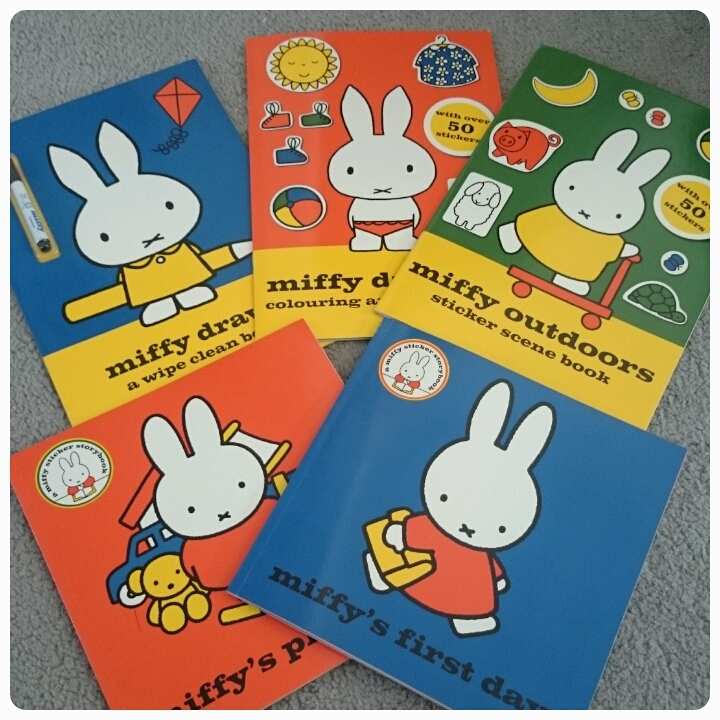 You could win a fantastic Miffy book bundle. 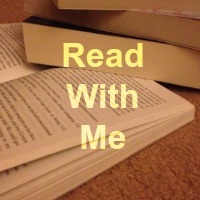 The bundle includes activities, stickers, coluring and reading. Miffy outdoors, sticker scene book. 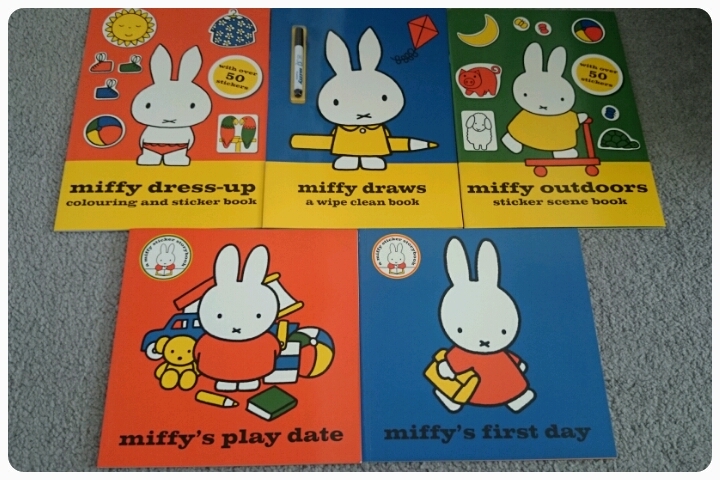 Miffy dress up, coloring and sticker book. Miffy draws, a wipe clean book. 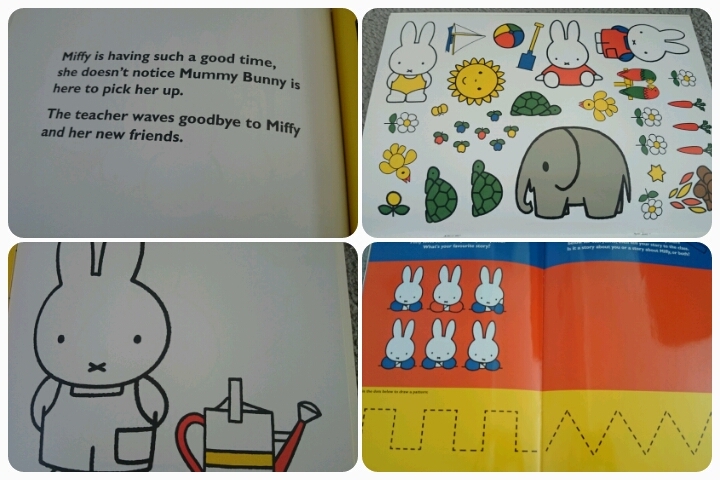 Miffy's first day, sticker storybook. To have a chance of winning all you need to do is fill in the rafflecopter form below. This giveaway is open to UK residents only and will close at 11.59pm on the 12th of May 2015. Remember all entries will be checked and verified so please make sure you enter correctly. I like to spend my birthday with my kids. Mine usually falls on or around Easter so it is nice to be able to take the kids out for the day. The weather is usually Springlike too so not too cold or hot. I have to have cake and ice cream on my birthday. Other than that, I like to spend it with loved ones and do something fun. Just quietly, me and my husband, although I'll be on holiday with the family including two lively grandchildren this year so I don't think that will be an option! 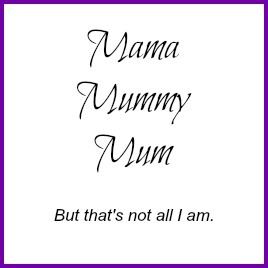 I love to spend the day with my fiance and kids and then go out to a gig with my bestie in the evening! family time and plenty of cake - my birthday is tomorrow in fact! (st georges day) and my son is baking my cake later today! Nothing really special, just with family. A lie in and lots of cake! With lots of cake and candles to blow out, so I can make a wish. With family and friends. This year my boyfriend treated me to a nice meal, at a nice venue. We had a beautiful delicious cake with cupcakes, which was made for me by one of his nieces. We later spent time with friends and family, which included my Great- Nephew which was delightful. I like to celebrate it with my family, a glass of wine and a big slab of birthday cake! With all of my family around me! With a meal out with my family followed by cake. with the family! and a cake with just the one candle!!! With my partner and our kids! with a relaxing spa day. I like to have a nice relaxing day doing whatever I feel like doing. It usually includes a meal out somewhere though! With cake. Fizz is nice too, but I would need a birthday nap afterwards. Spending the day with my family then pigging out on lots of cake! With Champers and friends! Or just a day off from housework would be nice!! With cake & lots of presents!!! With breakfast in bed - followed by a day of shopping just for me! I lie low on my birthday but love a call, card or email from anybody who knows and remembers the date! With my partner and my 3 year old daughter :-) Nice day out witha bit of lunch somewhere perfect day! A night out at the theatre & lots of chocolate! I like to go out for a nice meal and then come back home for some lovely birthday cake! On my birthday I like to go out during the day as a family and enjoy a meal with my husband and plenty of wine in the evening. A visit to a national trust property. by getting away on holiday if possible!